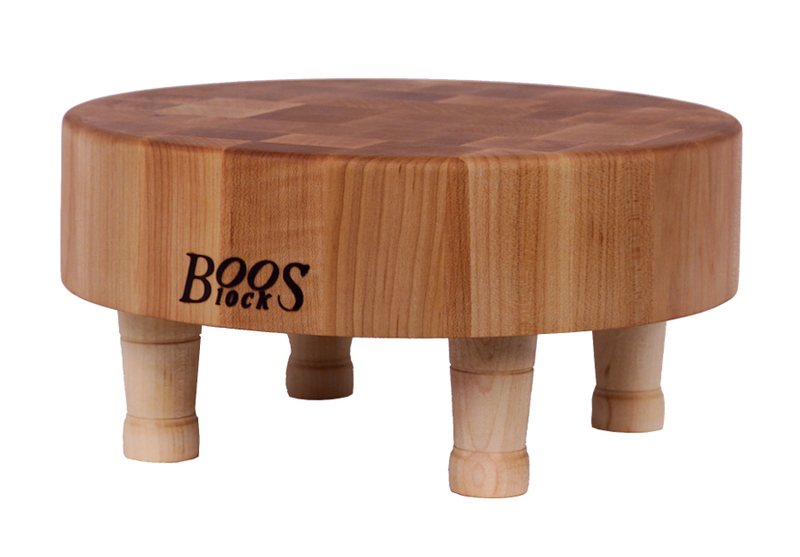 John Boos Cutting Boards & Blocks Are the Very Best That Money Can Buy! In fact, many people refer to butcher blocks as "Boos Blocks," reflecting the company’s rich history and heritage that dates back to the nineteenth century. That's when Boos launched their first wood chopping blocks designed for the rugged work of blacksmiths. Only later did Boos Blocks migrate to the meat butchers’ trade. 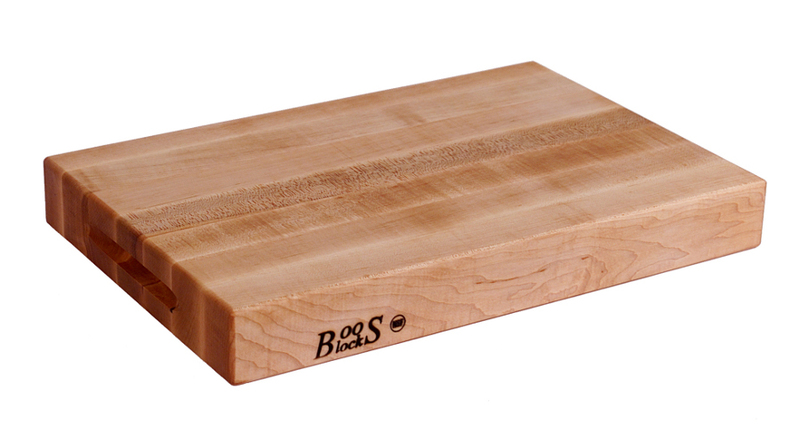 Over the ensuing decades, the Boos product line evolved to include butcher block cutting boards, but little has changed with respect to the way Boos makes their famous butcher boards. Individual strips of wood harvested from renewable, North American hardwood forests are bonded together using industrial-strength adhesive and the application of high heat and pressure. 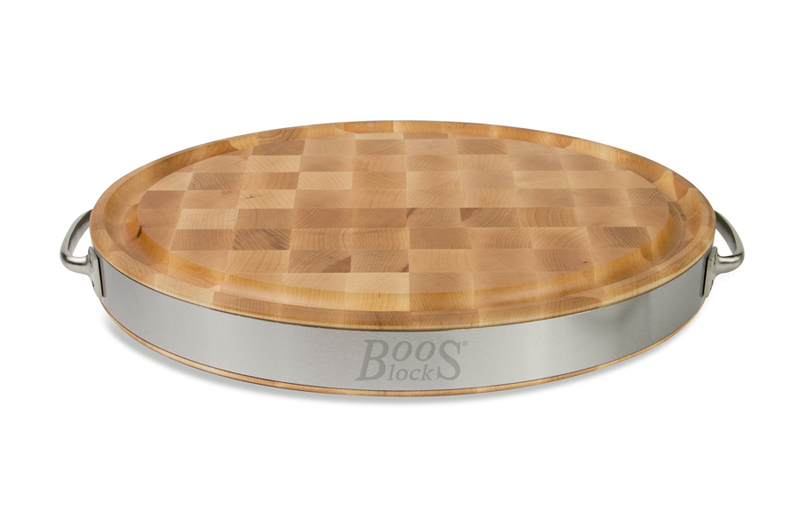 Whether you're looking for a rectangular, square, oval or round cutting board in a small, medium or large size, Boos & Co. makes a cutting board that's just right for you. They're as small as 10 inches by 5 inches and as large as 48" by 24". The thinnest Boos boards are 1 inch thick; and they range all the way up to 6 inches in thickness. 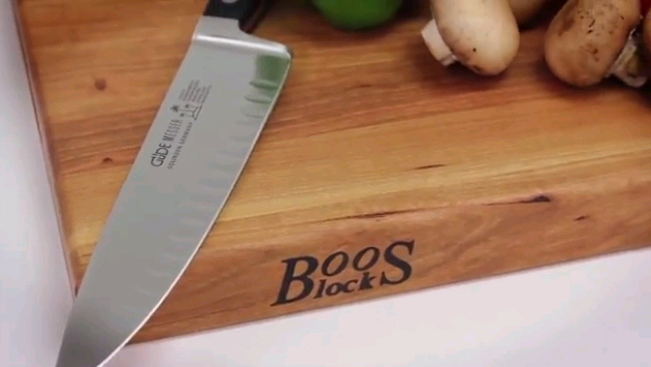 The Boos line includes everything from basic bread and cheese serving boards to classy carving boards with juice grooves and pouring spouts; and from rugged chopping blocks for carving meat and chopping heads of lettuce to stylish boards with wood or steel feet and stainless steel handles and bands. John Boos makes blocks and boards made of Rock Maple, American Cherry and Black Walnut. Generally speaking, maple cutting boards are more affordable and popular than cherry or walnut cutting boards. You’ll find the widest selection of Boos boards in maple. For example, some come with wood or steel bun feet or wooden pedestal legs. They come in square, rectangular, octagonal and round shapes. 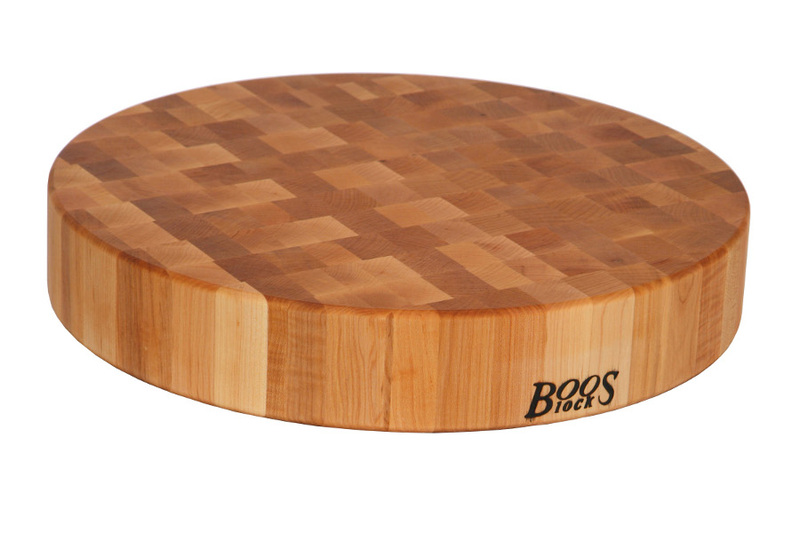 Plus, some round cutting boards are available with handsome, stainless steel wraparound bands. In edge-grain butcher block boards, strips of wood run the full length of the board, creating clean parallel lines. In contrast, the surface of an end-grain cutting block resembles a checkerboard. Each "space" on the board is the sawed end of a piece of wood standing on its opposite end, like a pillar. The wood fibers of these end pieces better absorb blows from knives. 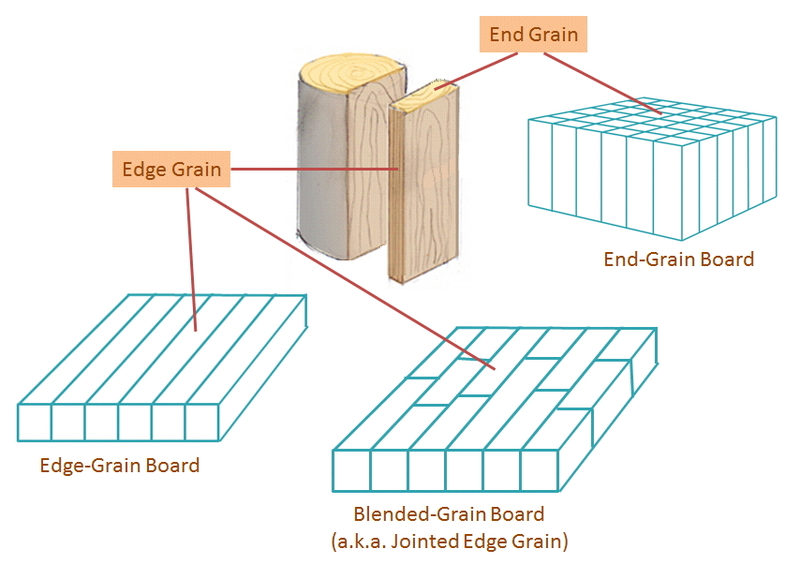 That's why end-grain boards are recommeded for carving and chopping. Handle options include finger grips as well as steel handles. 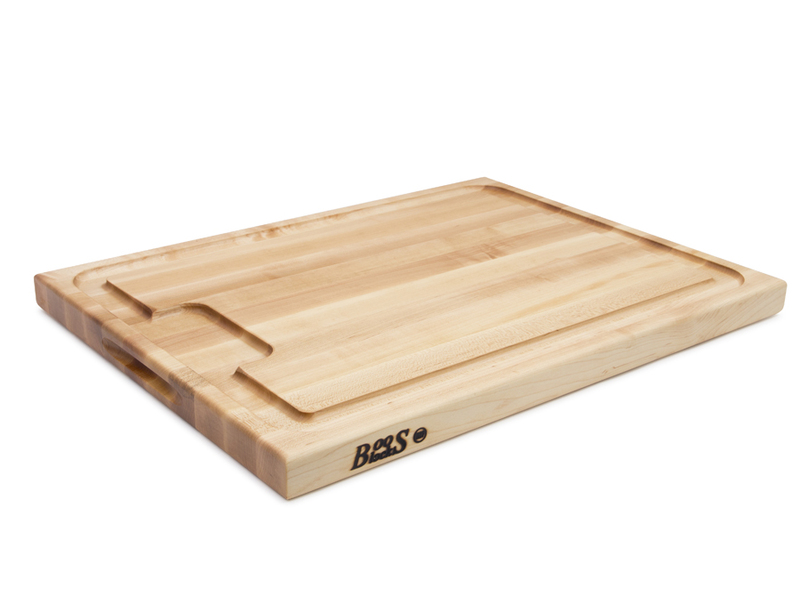 Many Boos boards are reversible, so you can flip the board over and resume work on a totally clean surface. Some include juice grooves and gravy moats, making it easy to save and recycle meat juices for gravy reductions. 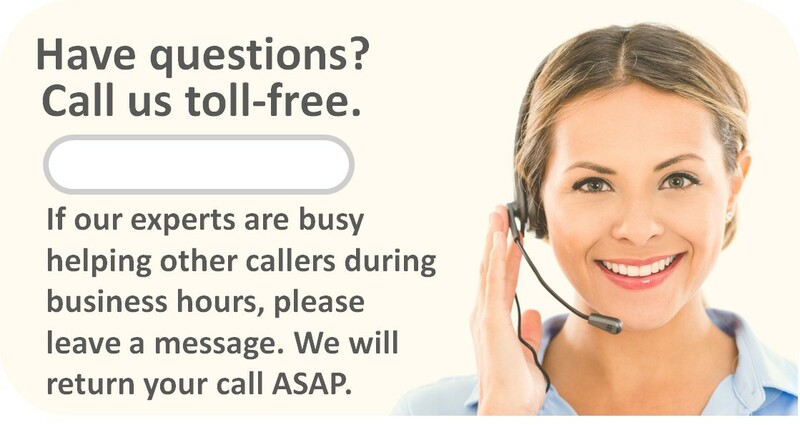 Boos offers other solutions for particular needs. For instance, Boos herb boards feature concave centers that ensure that diced herbs remain on the board and off your counters. Boards with miniature pyramids on one side can hold in place roasts and other cuts of meat for easier carving. If you cook for crowds, then you’ll definitely want to consider getting a large commercial cutting board. 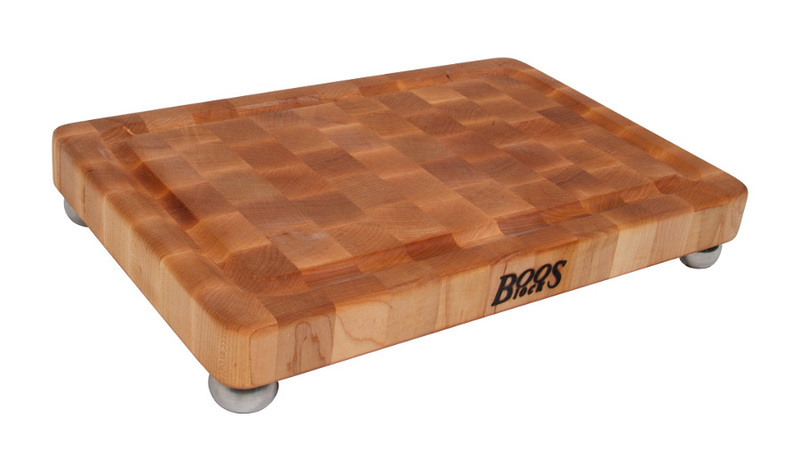 Boos professional cutting boards are NSF-certified, so approved for use in the food service industry. While you’re sure to find a wooden cutting board in every kitchen’s arsenal, not every would-be gourmet has discovered John Boos or can afford to step up to the leading brand of butcher block cutting boards. You'll not find a more practical and appreciated gift than a beautiful Boos Block. Be sure to check out our entire collection of John Boos products.